The Hawaii Flora Gallery contains a wide variety of beautiful flowers and other flora both cultivated and wild, found around the Hawaiian Islands. 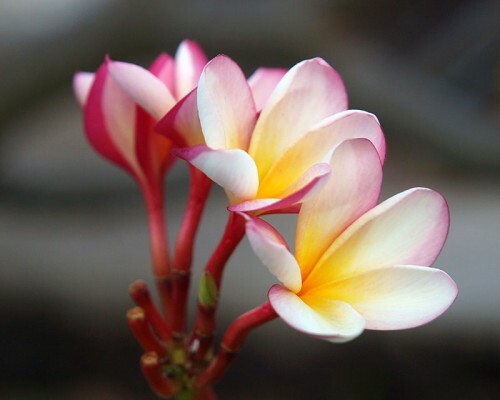 Thought not necessarily native to the islands, they are nonetheless tropical and some are well known for their placement in elegant and elaborate floral displays. Such flowers as proteas, both pincushion and king, bird of paradise, plumeria, hibiscus, lotus, orchids and anthurium are a few of the flowers you will see in this gallery. Also contained in this gallery are other flora such as trees, palm fronds, seeds and leaves. Many of the images in this gallery are macro photographs showing close up views not often seen. In some cases, the view may be so close up as to more like an abstract image. One of the more striking elements of these images is color. Flowers are a vibrant, radiant and colorful display of nature encompassing every color of the rainbow in a myriad of combinations which becomes obvious when viewing this gallery.